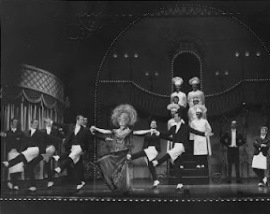 Terry DeMari was in Hello, Dolly! from September 1965-1968. He joined Carol Channing’s first national company in 1965, as Dance Captain. Her company eventually performed at Lyndon Johnson’s White House for his birthday celebration. 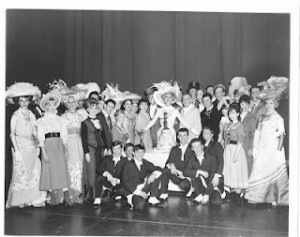 Also worked as Dance Captain for productions of Dolly starring, Eve Arden in Chicago, while Channing took time off to film Thoroughly Modern Milliein Hollywood, and Ginger Rogers at the Riviera Hotel in Las Vegas.In 1967 the David Merrick office hired him at Gower Champion’s request, to re-stage the original choreography for a new touring company featuring Hollywood film star, Dorothy Lamour. Lucia Victor directed Ms. Lamour’s company. 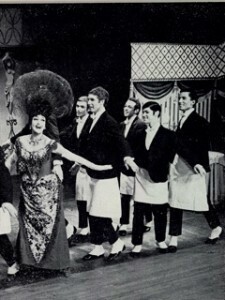 Terr’s connection to the musical involved four stage and film stars. Terry was living in Hollywood when the audition call was listed at the local Actor’s Equity Office. He had been unemployed for some time and needed the job badly. The first call seemed easy, and he was asked to come back for the final call. I asked for his thoughts on the Dollys he appeared with. Carol was friendly, very respectful , and never missed a performance.Her portrayal was sly, mischievous, and never ad-libbed or changed a single word, movement, or dance step. She was adamant about others doing the same. By the 2nd month of performing they had terminated contracts for four male dancers who had problems and did not work out. humorously sarcastic, and very much like her famous TV character, “Our Miss Brooks” One evening after a performance in Chicago, Even and her husband Brook went to Terry’s apartment for a chat and drinks. Brook and Eve loved their bourbon and Terry remembers that they both drank two large water glasses of bourbon…..straight….no ice. 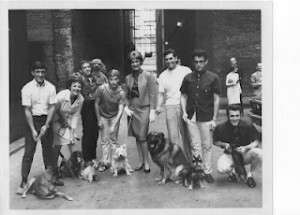 See the photo of Eve and other cast members outside the Shubert stage door in Chicago, with all their dogs. Often while traveling, people would ask if we were with a “dog show. Ginger Rogers was someone Terry admired from her early thirties films with Fred Astaire. She still looked good physically when she was doing Dolly at the Riviera Hotel in 1967. Her portrayal of Dolly was similar to her films……humorous, sincere, and a bit bawdy at times. She seemed to like the male dancers more than the girls and often took the male dancers out to dinner after the show. Dorothy Lamour was the nicest, friendliest of all the Dollies. She had a little difficult learning the script and the dance numbers. She would say that in films, an actress needed to memorize a few pages of script…..shoot the scene, and go home till the next time. 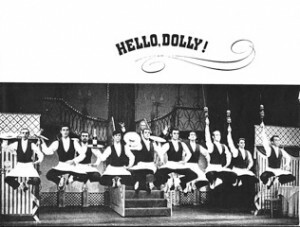 In learning Hello Dolly!, she had to memorize the script for an hour and a half show making it much more demanding. would do the late show, and Ginger would do the early show. Terry detected a bit of professional jealousy between the two stars and never saw them speaking to each other. After the Riviera engagement, Terry was hired by the David Merrick office at Gower Champion’s request to audition and hire singers and dancers for a new touring company featuring Dorothy Lamour. Her company went on tour receiving outstanding reviews. He stayed with the Lamour company for approximately two months and gave his notice when they arrived in San Diego. Dorothy remained a good friend up to her death. She would telephone Terry in Hollywood to gossip and chat several times a year. 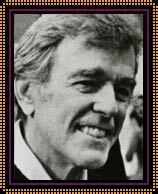 Gower Champion is Terry’s favorite person and choreographer of all time. Always professional, but calm and friendly. Gower conducted the final audition call in which he decided Terry was not someone he wanted in the show. Terry was extremely upset at being turned down. Gower asked Terry to leave after the first waltz across the stage. Being eliminated was a shock to Terry after making the first audition and knowing Gower was taking two dancers who admitted they never had a dance lesson in their life. The audition continued as Terry waited for the right moment off stage. That moment came when Gower gave everyone a break. Terry walked up to Gower and said “ Mr. Champion?” Gower looked up from his notes….a bit surprised at seeing him. Terry said, “I would like to ask your permission to stay for the rest of the audition because I know what I can do and want to convince you that I would be good for this show..” Gower hesitated while Terry perspired, and then replied, “Alright, you can stay.” The audition continued and Gower eventually was convinced he had made a mistake. He then eliminated one of the dancers who never had a dance lesson and asked Terry to join the company. Rehearsals began at an old theater downtown Los Angeles. After a couple days, Gower asked Terry to start giving the company a warmup class before rehearsals. He was testing him to see if he could manage a group in a class situation. Apparently it worked as he terminated the contract of the dance captain he had hired in New York. Before opening night in San Diego in 1965, Gower asked to speak to Terry in the dressing room as he was putting on makeup. They went out in the hall, where Gower asked if Terry would like to be dance captain. Terry was nervous and wasn’t sure if he could handle the job, saying that he was concerned about the other dance captain losing his job. 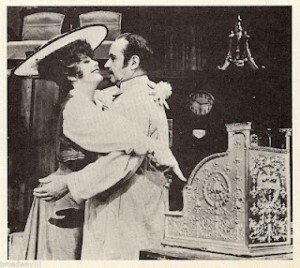 Gower convinced him that he should take job and Terry was allowed to stay out of performances for a month so he could go out front and learn the show. Difficult to recall a best moment for Terry. The leads were always major film and stage legends making all the performances important, and fun to do. Rehearsals lasted either four or six weeks at an old theater in downtown Los Angeles. The show was scheduled for an indefinite run. In 1965, the Watts riots were in full progress about ten blocks away from the theater. Frequently, they would see the military trucks roar by with guards carrying guns, There was much noise and smoke coming from the riots, but rehearsals always continued. The first performance for Terry was frightening. In spite of four weeks rehearsal, and learning all the dances and musical numbers - getting on stage with a live orchestra, a full house, is a surprise that could affect anyone.He had a very fast quick change in the wings where he had to get out of one costume and into the athlete’s outfit for the “Parade” number. His exit was Stage Left, and the entrance was Stage Right. There wasn’t a crossover space behind the backdrop, but he made the crossover nevertheless, stumbling and causing the backdrop to move. His personal dresser was also nervous, and the parade went on without him for the opening. He prayed that Gower didn’t notice, but if he did, he never mentioned it.Terry took great care to check future theaters for crossovers, and made sure that dressers were well rehearsed. Opening nights for any show are scary. No amount of rehearsals will change the opening night jitters that all performers experience. 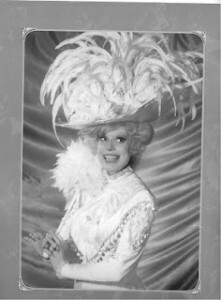 The first Carol Channing national company opened the newly built Music Center Chandler Pavillion in Los Angeles in 1965. The Chandler theater was brand new, elegant, and beautiful making their opening night very special. The Channing company: Audiences were always enthusiastic. The public loved Carol and Carol never missed a perfomance. Her portrayal of Dolly was perfect every night as she never ad-libbed, or changed a single gesture, eye or arm movement, or word. The Ginger Rogers company: Knowing he was working with a famous film legend whom he admired greatly from the early Fred Astaire musical shows. The Dorothy Lamour company: Her real, every day, down-to-earth manners. Her portrayal of Dolly was unique from all the others in a seductive and very professional manner. Terry’s worst experience occurred in Dorothy Lamour’s company, when the David Merrick office decided not to pay him his Dance Captain salary increase. Terry’s thoughts on other Dollys he has seen…Terry never can understand why Hollywood chose Streisand for the movie, instead of the original Carol Channing. Thought the Pearl Bailey production was unusually good. The Streisand movie was good, but disappointed that Carol was turned down for the role. The Betty Grable production in New York had its ups and downs. While rehearsing the Lamour production there, Ms. Grable had a dispute with her hair dresser about his stealing something. Terry says it was an honor to work with Jerry Herman who always was respectful to everyone. The first time Terry heard the score, he thought the score was ok. The show stopper was the Hello, Dolly! song and dance number. What one major change has Terry seen in the industry since he first started in this business? Musicals today lack memorable music we remember well from Lerner and Lowe, Rogers and Hamerstein, and the other “greats”. Choreographic styles have changed drastically, and not always for the best. Fortunately Terry was in New York when Broadway musicals were in their prime, during the fifties and through the sixties. Times change and those changes affect creativity, along with everything else.